I've told the story many times. It was the 2008 Lucie Awards at Lincoln Center in New York. Herman Leonard was across the aisle from me. Tony Bennett walked out on stage and told his story about a man, a photographer, and a musician's friend, a fly on the wall in the 1940's and 1950's, who photographed for a decade in the jazz clubs of New York and Paris. 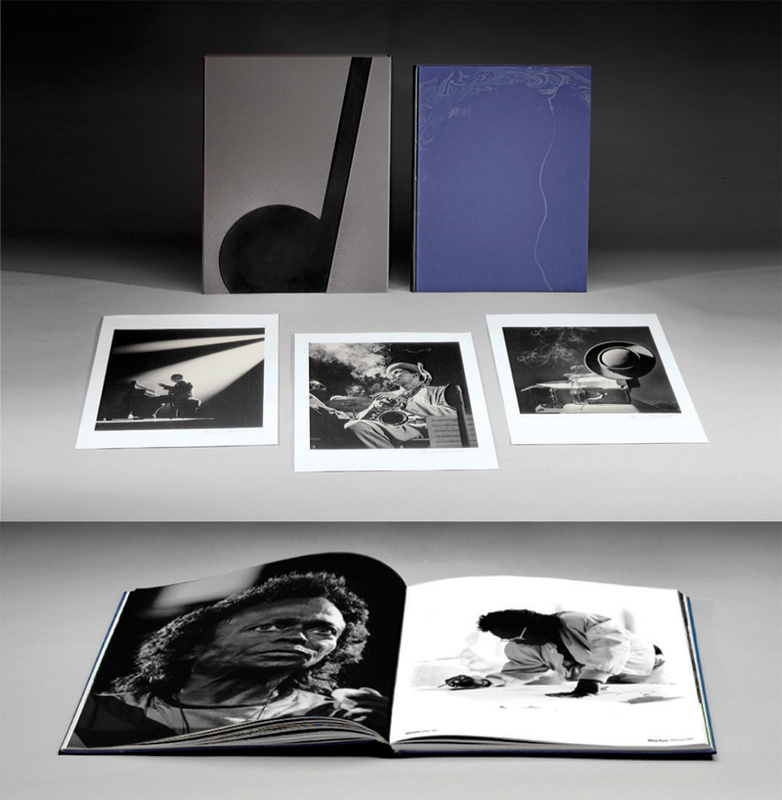 An artist and friend of the greatest jazz musicians of all time with full access and without a face - unseen in the photographs he took documenting this definitive period in music. Herman comes to the stage and accepts his award, glowing, honored, and humble. Later on that night, 21st Editions accepts an award for The Everywhere Chronicles from Amy Arbus. After the event, I was outside in front of Lincoln Center with my colleagues and Herman was with his. I walk over admiringly and introduce myself. "Herman, I'm Steven Albahari and I love your work. Do you know 21st Editions?" Herman says, "Sure I do man." I said, "We should do a project together some day." He says, "Sure, let's do it man!" The following fall of 2009, I contacted Herman while I was standing in front of his grand exhibition at Lincoln Center and told him how awe struck I was at his accomplishments and how wonderful his exhibition was. That was the beginning of our project together. In February of 2010 while we were just getting started, his assistant, Geraldine Baum, called me to let me know Herman had been diagnosed with leukemia and said the doctors were giving him 5 months. I was shocked, then asked if Herman still wanted to do the project and the answer was an unequivocal "yes." Without thinking that it often takes us at least a year to get to a finished prototype, I said, "Then we will do it, and I will fly out to L.A. to deliver it to him." After hanging up, I was then faced with a new challenge, indeed. On July 10, I arrived on his doorstep with my good friend and jazz historian and audio-biographer, Jim Luce. We sat with Herman for three hours and went through the book page by page. Herman said, "These are the best platinum prints I have ever seen." I read Quincy Jones' introduction and my afterword out loud to Herman while he closed his eyes. We bonded, shared the music, the photographs, the production, the stories, made both a video (that can be seen here) and audio biography on the spot. He gave us two and a half solid hours of his intense focus. We left and he was drained. Having to rest, I trust he did so with some closure and a smile. Five weeks later on August 14, 2010, Herman passed. Two months later Listen: Herman Leonard and His World of Jazz was nominated for and won a Lucie Award. He was there, all encompassing, as we accepted the award together (click here to watch). Graham Nash's music was pivotal in the adolescence of many of us. I remember being 15 and listening to Nash's Simple Man album, as well as CSN&Y's Deja Vu. The music came to represent a page in my life (and surely the lives of many, many others). It exemplified heart and soul and instilled faith and trust in the future. While Nash and his contemporaries were fighting for peace and for an even playing field, the music was laying out the options for us. It was our choice then which road we would take. When I got word from Pam Clark and Crissy Welzen (in LA at the time) that Mac Holbert, Graham's partner at Nash Editions, suggested that Graham and I do a book together, I was, of course thrilled at the idea. After meeting with Mac Holbert in New York and about a year after Mac's initial thought, I called Graham. He was driving up U.S. Highway 1 overlooking the Pacific, while I was sitting in my car overlooking the Atlantic from Cape Cod where I live and work and where the 21st Editions offices are. Between us was 3000 miles and Graham greeted me as if he had known me a lifetime. As I got to know him, I saw that he greets everyone with equal respect and attention, as if you and he were the only ones on the planet. The man gives you his attention. He gives you his all.